Y'ALL. We are on an INTERNET LIST!!! That's so crazy!!! 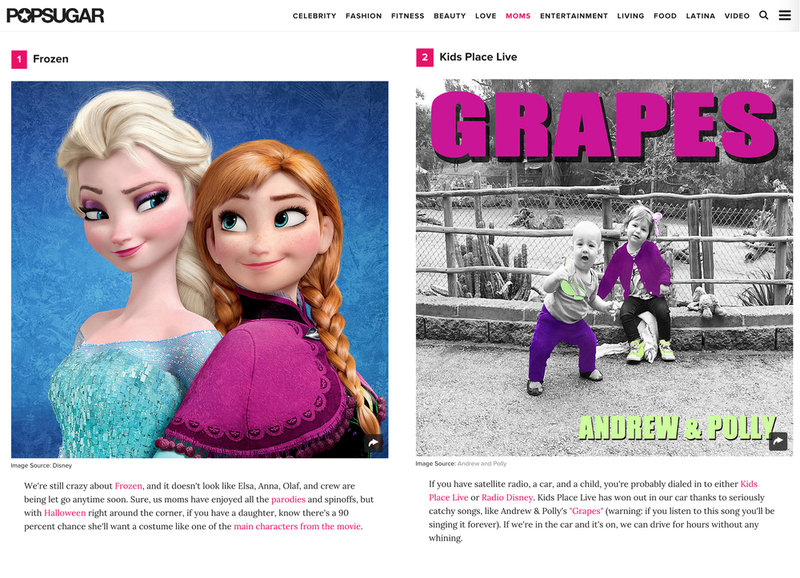 Big ups to Sirius XM Kids Place Live and our song-of-the-summer, GRAPES, for being one of the 15 awesome things kids like over at PopSugarMoms! If you love Grapes, or us, or those ladies from Frozen - please consider buying the song on the platform of your choice (iTunes, Amazon, Google Play). We know you can stream it until the cow's come home, but we want to go out for a slice of pizza and take Izzy & Devin back to the zoo!